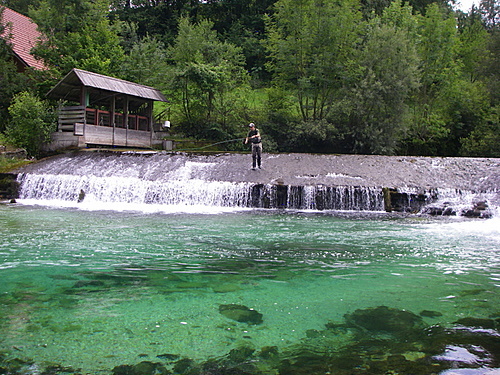 « What a (big) day on Idrijca river! 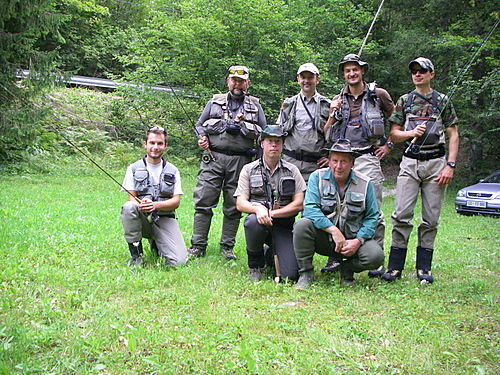 It all started in 2008, when I decided to go to Bled to have two-day fishing holidays (first day on Radovna and second on Sava Bohinjka). Of course it was a complete success. Every year it happened the first weekend of August. No exception was this year. The only thing that changed since the first time was the number of colleagues that have gone with me. This year we were in seven! 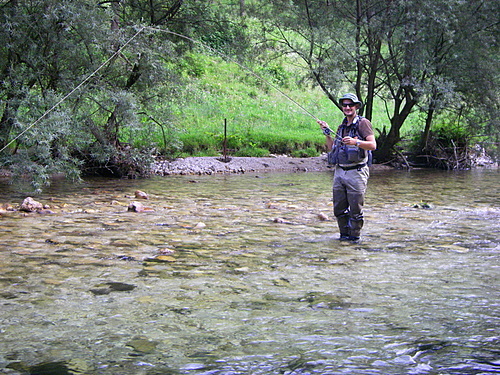 Maybe a little too much for a small stream like Radovna, but still manageable. Everybody had enough space to fish on every location we stopped. We started at the beginning of the district. 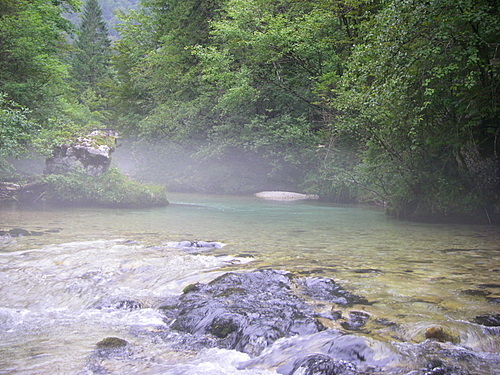 The water level was lower, crystal clear and cold (9 degrees centigrade). We saw a lot of trees in the riverbed (last autumn flood consequence) and less fishes as usual. But more we went downstream more were the catches. 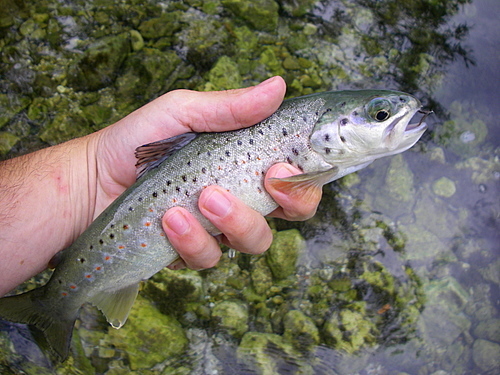 Small brownies were becoming more and more frequent on our nymphs. With midday we changed position and with brownies we have caught also rainbows. 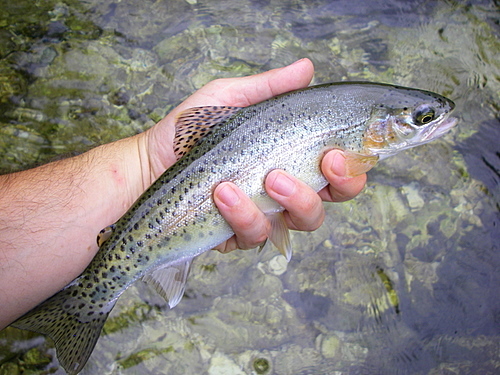 Fishes became active on the surface, so nymphs were changed with dry-flies. Some cdc flies were irresistible to more and more fishes. Hours run quickly and before night we moved to another position. The picture didn´t change, fishes were attacking our flies with eagerness till we reached the end of the fishing district. 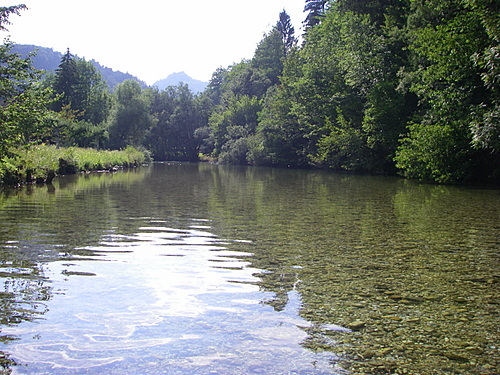 In conclusion I could say that in my point of view the river is 100% pure mind relax, with a lot of fishes and astonishing surroundings. What can a fisherman demand more?